Today I spent the day at a “Blessed, Beautiful, and Bodacious” retreat at St. Vincent de Paul Parish in Elkhart. My friend Pat Gohn was the presenter (and if you haven’t already read her book, I highly recommend this thought provoking examination of what it means to be a contemporary Catholic women in the world today). By calling God “Father”, the language of faith indicates two main things: that God is the first origin of everything and transcendent authority; and that he is at the same time goodness and loving care for all his children. God’s parental tenderness can also be expressed by the image of motherhood, which emphasizes God’s immanence, the intimacy between Creator and creature. The language of faith thus draws on the human experience of parents, who are in a way the first representatives of God for man. But this experience also tells us that human parents are fallible and can disfigure the face of fatherhood and motherhood. We ought therefore to recall that God transcends the human distinction between the sexes. He is neither man nor woman: he is God. He also transcends human fatherhood and motherhood, although he is their origin and standard: no one is father as God is Father. 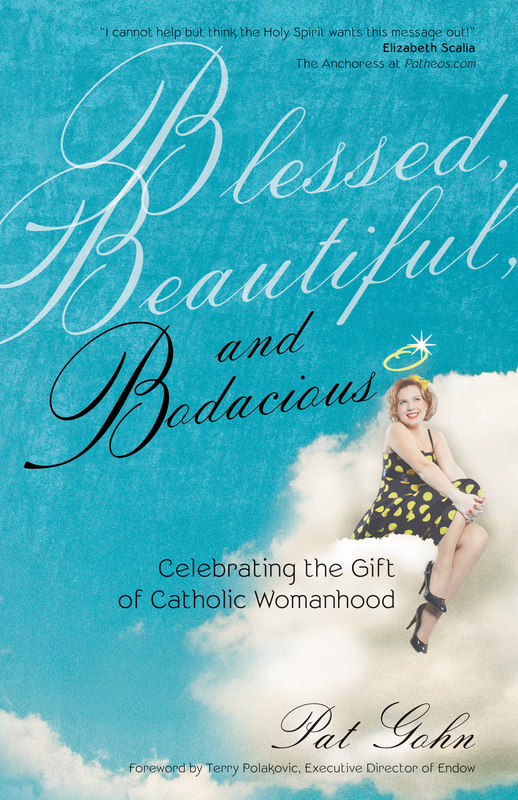 This entry was posted in Mother's Day and tagged #BBB retreat, Beautiful and Bodacious, Blessed, Catechism, Elkhart, Pat Gohn, St. Vincent de Paul by heidihesssaxton. Bookmark the permalink.